Over time, mold, mildew and dirt eat away at your home’s exterior wood surfaces. Not only do these elements mar the appearance of those surfaces, but they reduce the lifespan of them as well. Power washing can wipe away debris and make your decks, patios and siding look like new again. First, we spray a pre-soak foam to seep into your home’s wood surfaces and soften the fibers. The environmentally-friendly foam brings dirt, grime and debris buildup to the surface. We wash away the foam with a controlled spray to leave your decks and other wood surfaces looking like new. We coat the wood in a UV-blocking polymer mix that penetrates deep beneath the surface and provides long-lasting protection against the elements. Power washing gives your deck and other surfaces a heavy duty clean, while the UV-blocking sealant we use protects against everyday wear and tear. Our pre-soak foam is made up of a non-chlorine formula, safe for plants, animals and humans alike. 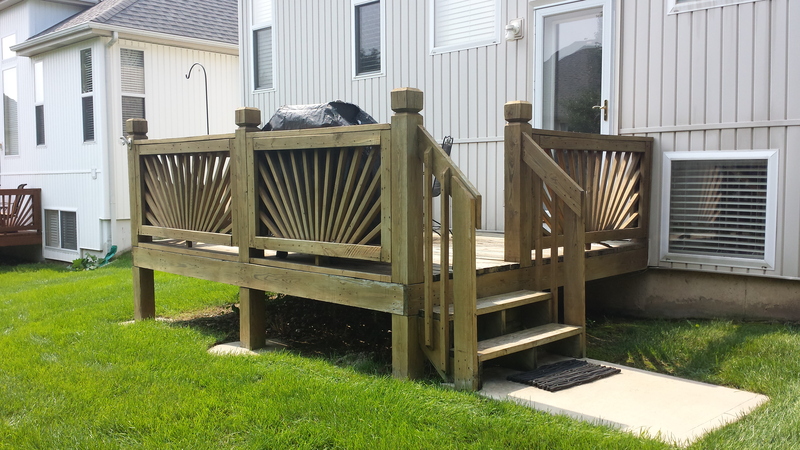 You don’t need to replace the wood slabs to make your deck look like new again. You just need the experience and care of a professional power washing company. Our 3-step process wipes away years of dirt, grime, moss and mildew to leave your surfaces sparkling and clean. In addition to the aesthetic benefits, a good pressure wash can protect your deck and extend its life by years. You can add years to your deck and boost the appearance of your home with a single deep clean. Renew Crew of Johnson County performs deck cleaning, fence cleaning and everything in between. Call us at 913-661-9663 to schedule your free estimate today.